Vizo Financial's partner, CU Business Group, offers expertise and full-service support is the fast, easy and cost-effective way to add business lending and deposit products to your credit union’s list of services. From planning to servicing, compliance to consulting, pricing to prospecting, they provide the expertise and resources to make your business services program successful. The Corporate offers letters of credit to guarantee a credit union's financial obligation or contractual agreement with a third party. Vizo Financial offers advised lines of credit to members at very competitive interest rates and without charging origination or legal fees. In addition, since we only grant loans to credit unions and credit union-related organizations, we can extend more generous lines. LoanStreet offers a comprehensive online marketplace for all aspects of loan participations. Whether you're looking to reduce capital constraints or boost loan revenue, LoanStreet gives you the tools to buy, sell and manage your loan portfolio within a single platform. The Corporate offers loan servicing for credit union member business lending. 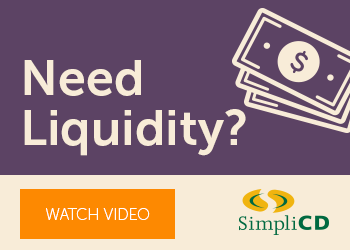 Our long-standing partnership with SimpliCD provides a simple solution for credit unions to get liquidity. Click the icon below to find out how your institution can issue a certificate through the SimpliCD program with Vizo Financial! Vizo Financial is committed to helping your credit union members invest in higher education. This is why we have partnered with Sallie Mae to offer your credit union a comprehensive suite of products and services to support your members' education finance needs.